September 19, 2010 September 19, 2010 Wallace Bishop I.N.H.C, C.N.C. 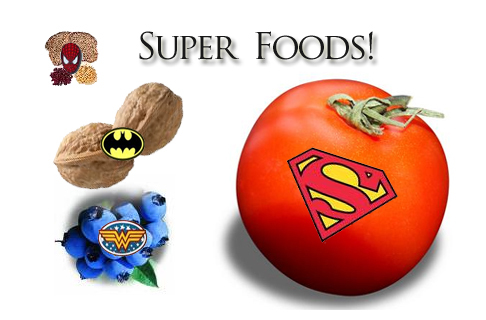 Super Foods For Your Health! We always hear about a number of exotic foods with super food status; however they are not always easy to find and if you can find them the cost may be prohibitive. I could list many everyday super foods, however for the sake of brevity, let’s look at 10 of the most nutrient dense everyday super foods that are very available in most grocery and or healthy oriented food stores, such as Whole Foods and Earth Fair. Again this my opinion, I could make a list of at least a few dozen foods with super healthy potential. When possible select organic foods. Swiss chard is very rich in a broad spectrum of nutrients. Chard belongs to the same family as beets and spinach and shares a similar taste profile: it has the bitterness of beet greens and the slightly salty flavor of spinach leaves. Chard is truly a nutritional superstar. It can be used just like spinach. Use the tender smaller leafs raw in salads. You can wilt, steam or boil the larger leafs so they are tender. On the larger leafs remove the stalk center, it can be a little tougher. Learn more about Swiss chards many health benefits. If you have never tried this vegetable you have really missed out on a very nutrient rich and very tasty vegetable. Although there are many different types of winter squash such as spaghetti, delicata, hubbard, sweet dumpling, acorn and butter cup, the butter nut is one of my favorites. It tastes very much like a sweet potato however it has much less sugar content. For those that need to watch their blood sugar it is an excellent choice. Winter squash is as an excellent source of vitamin A (in the form of beta-carotene), a very good source of vitamin C, potassium, dietary fiber and manganese. In addition, winter squash emerged as a good source of folate, omega-3 fatty acids, vitamin B1, copper, vitamin B6, niacin-vitamin B3 and pantothenic acid. Winter squashes offer many health benefits and are very easy to store. Learn more here. Broccoli is a great addition to our diets. It can bet enjoyed raw or cooked. Broccoli is a powerful anti-inflammatory and detoxing food. Most vegetables are not considered to be good sources of omega 3 fatty acids however broccoli has enough of them that it can give you the many health benefits of omega 3 fatty acids. Broccoli contains compounds that are necessary for our body’s detoxing pathways. In addition it is rich in many vitamins, minerals, fiber and phytonutrients. Many studies have shown broccoli to give protection against cancers and it can help in the metabolism of vitamin d due to its high content of vitamin k. Learn more about broccoli here. Strawberries are the most popular fruit in the world and it’s not just due to its wonderful unique flavor. Strawberries are rich in many nutrients and phytonutrients including vitamin c, manganese, fiber, iodine, potassium, folate, vitamin b2, vitamin b6, vitamin b5 and are source of omega 3 fatty acids. Strawberries’ unique phenol content makes them a heart-protective fruit, an anti-cancer fruit, and an anti-inflammatory fruit, all rolled into one. Learn more about strawberries here. I am a chocolate nut, really I am. I am so glad dark chocolate is so healthy. Dark chocolate is one of the richest sources of flavonoids and has one of the highest antioxidant ratings of any foods. Dark chocolate also contains another compound, epicatechin, which research shows to be a powerful cellular stimulator of protective compounds which may be prompting the cells to defend themselves. It is richer in antioxidant power than green tea and red wine. Dark chocolate provides brain protection, heart protection, lowers blood pressure, improves skin health and bone health and is anti-inflammatory. 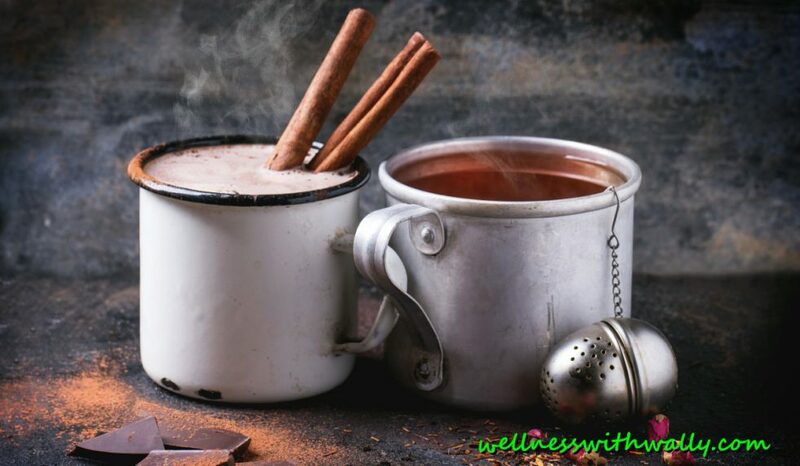 Dark chocolate and or raw cacao has much less caffeine than coffee or tea. With all the protection of dark chocolate you still need to be aware of the calories. Also the chocolate found in candies, ice cream and other food preparations may not offer the same health benefits. Chocolate with added sugars is unhealthy. Look for 100% organic dark chocolate or raw cacao. I am not saying eat all of the chocolate you want, it is high in calories, however consumed correctly it is awesome for your health! Do not consume milk when eating chocolate; it may interfere with nutrient absorption. The fat in chocolate comes from cocoa butter and is made up of equal amounts of oleic acid (a heart-healthy monounsaturated fat also found in olive oil), stearic and palmitic acids. Stearic and palmitic acids are forms of saturated fat. You may know that saturated fats are linked to increases in LDL-cholesterol and the risk for heart disease. But, research shows that stearic acid appears to have a neutral effect on cholesterol, neither raising nor lowering it. Although palmitic acid does affect cholesterol levels, it only makes up one-third of the fat calories in chocolate. If you really want to know all the benefits of chocolate read my friend David Wolf’s book “Naked Chocolate”. Nuts and seeds improve brain health, heart health, reduce high cholesterol, and are anti-inflammatory, can be high in antioxidant value and provide detoxing power. Nuts and seeds are very rich in fiber, minerals, phytonutrients, and heart healthy oils and can be a rich source of antioxidant power. Nuts and seeds can be used and eaten in a variety of ways, such as a snack or in salads and turned into nut butters. You will find them raw and roasted. Raw is better if you are looking for optimal nutritional intake. Many people soak their nuts before eating to remove the external protein coating that can make digestion a little more difficult for our bodies. Nuts and seeds are very satiating and help curb hunger. In fact many studies have shown that people who regularly consume 1 to 2 ounces of nuts and seeds per day seem to lose weight and keep it off. Nuts and seeds contain mostly monounsaturated oils and smaller amounts of polyunsaturated oils. Walnuts and flax seeds (must be ground before eating) contain a large percentage of anti-inflammatory omega 3 fatty acids. Sunflower seeds are a rich source of many vitamins and minerals. Brazil nuts contain several times the DRI of selenium, a very powerful antioxidant mineral with anti-cancer properties. Pumpkin seeds are an equally healthful choice with ¼-cup of kernels boasting more than twice the omega-3 of a four-ounce serving of salmon while being an excellent source of magnesium. While the Flax seed has long been recognized as a very popular health food, the Chia seed is now being recognized for its high nutrient content, in particular an excellent source of omega 3’s. Almonds are a wonderful source of copper, magnesium and phosphorous and 6 grams of protein per one-ounce serving. The June 2004 issue of the Journal of Agriculture and Food Chemistry reported that pecans contain the highest antioxidant capacity of all nuts. Researches revealed that people who regularly consume nuts have lower risk of cardiovascular disease. The Iowa Women’s Healthy Study found that women who include nuts at least 4 times a week on their daily diet are 40% less likely reduce the risk of heart attack. A study conducted by Harvard School of Public Health and Loma Linda University yielded very similar results. Naturally, the health benefits are not only exclusive to women, in a 2002 research in Physician’s Health Study of male participants, the findings showed that men who consumed nuts regularly 2 or more times per week had reduced the risks of heart attack. The famous Seventh Day Adventists study followed more than 30,000 church members over a 12-year period. The results showed that even in this healthy-living, largely vegetarian group, those who ate nuts at least five times per week cut their risk of dying from coronary heart disease (CHD) by 48 percent, compared with those who ate nuts less than once weekly. They also cut their risk of a nonfatal heart attack by 51 percent. In a study involving more than 3,000 African-American men and women, those who consumed nuts at least five times a week cut their risk of dying from CHD by 44 percent, compared with those who ate nuts less than once weekly. The results of the 14-year Nurses’ Health Study—which involved more than 86,000 women—indicate that women who consume more than five ounces of nuts weekly will cut their risk of CHD by 35 percent, compared with those who eat less than one ounce per month. And, the 17-year Physicians’ Health Study involving more than 21,000 men found that those who consumed nuts at least twice a week cut their risk of sudden cardiac death by 53 percent, compared with those who rarely ate nuts. Just remember nuts and seeds are high in calories due to the abundance of heart healthy oils, be careful to not over consume them. Because of their wide array of nutrients it is better to include a variety of them in your dietary routine. Garlic, onions, leeks and chives contain flavonoids that stimulate the production of glutathione, one of the body’s most powerful antioxidants. Glutathione enhances elimination of toxins and carcinogens, putting the Allium family of vegetables at the top of the list for foods that can help prevent cancer. For maximum nutritional value mash, mince or chop them and let sit for 5 minutes before consuming. This allows air to activate some of the healthy compounds they contain. Here are just a few benefits from members of this family. Lowers total cholesterol (but raises HDL—”good”—cholesterol), lessens the risk of atherosclerosis (hardening of the arteries), lowers blood pressure, reduces the risk of blood clots (cause of the majority of strokes and heart attacks), destroys infection-causing viruses and bacteria, reduces the risk of certain cancers, in particular, stomach cancers, produces more “natural killer” cells in the blood to fight tumors and infections, helps fight against neurological diseases such as Alzheimer’s and enhances detoxification by reducing toxins. Sprouts are edible seeds that are germinated. Most seeds, nuts, pulses, beans and grains can be sprouted. Sprouted alfalfa, broccoli, chickpeas, kidney beans, fenugreek seeds, wheat and barley are popular for their medicinal and nutritional properties. The many health benefits of sprouts result from the process of sprouting and the composition of sprouts. Sprouts can add a nutty and earthy flavor and a crunchy texture to salads and sandwiches. Sprouts are a rich source of antioxidants, vitamins A, C and E and are a good source of selenium. They also contain calcium, phosphorous, magnesium, iron, zinc, folate and vitamin B. They are low in sodium but high in potassium. Sprouted legumes like peanuts, soy beans and peanuts have complete proteins. They are a good source of fiber and are rich in life promoting enzymes, oxygen and chlorophyll. Do not underestimate the health promoting properties of these wonderful, raw life giving foods. For optimal health there are many very healthy commonly available foods you should make a part of your diet. Variety is the key. Be adventuresome with the foods you select. Try something new! There are hundreds of healthy vegetables, fruits , beans, grains and nuts and seeds to enjoy. Eat healthy, eat a variety and enjoy them with friends. This contents of this blog is not and should not be considered as medical advise. Always consult with your doctor before making any dietary or lifestyle changes. Never quit taking prescription medications unless advised to do so by your doctor. Previous Post Which Nutrients are You Lacking and Which May Be The Most Important? Next Post A Mysterious Superfood You Should Make a Part of Your Daily Routine!